Indian kitchen designs are really warm and welcoming. Usually it is the heart of the house where tasty treats are cooked for the whole family. Before, they used to have very traditional designs. 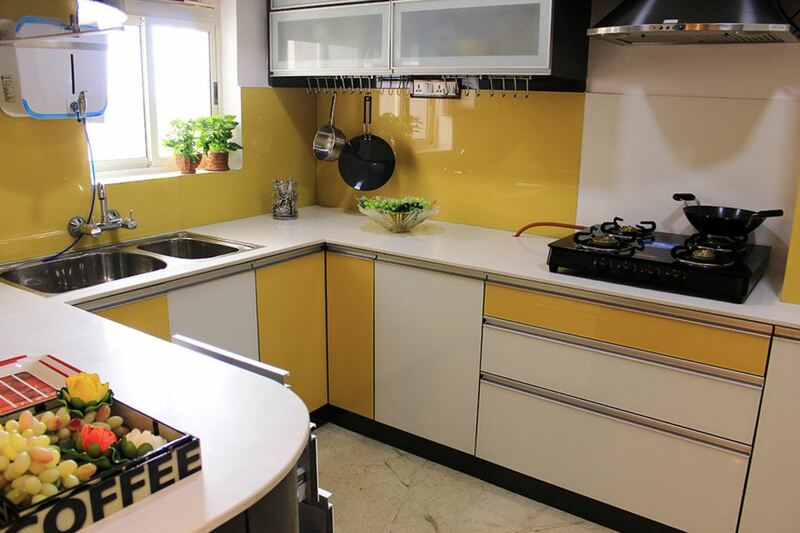 But with modern times came stylish kitchen designs that were modular and more efficient. Everything became compact and space optimization took over. Check out this simple galley kitchen with black granite countertop. It has lots of storage space that include a few open shelf which gives easy access. Adding a fan to your kitchen seems like a good idea to me. This is a spacious kitchen with a nice color scheme. Use of dark backsplash tiles help to keep the kitchen walls clean and tidy. Add stools to the raised countertop to create a cozy breakfast nook. Go for dark under cabinets and backsplash. Keep the rest of the kitchen light in color. Match the countertop with upper cabinets, wall and the floor. 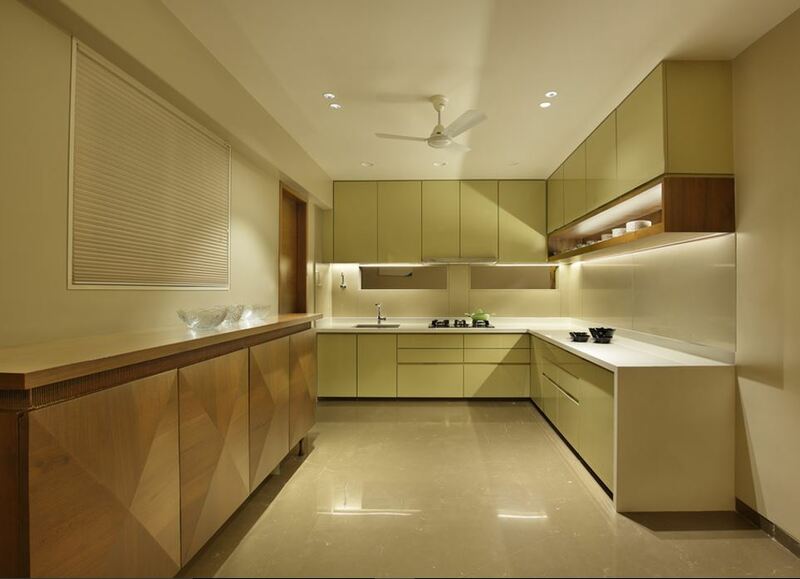 Take a look at this simple Indian kitchen design. 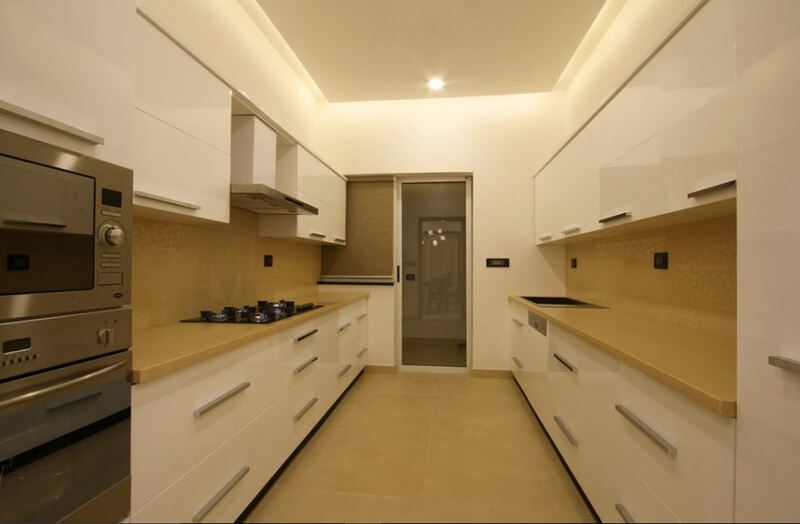 The glossy, flat paneled cupboards give a chic look to it. You can add a sleek wooden cabinet that extends to the dining area for storing your chinaware. 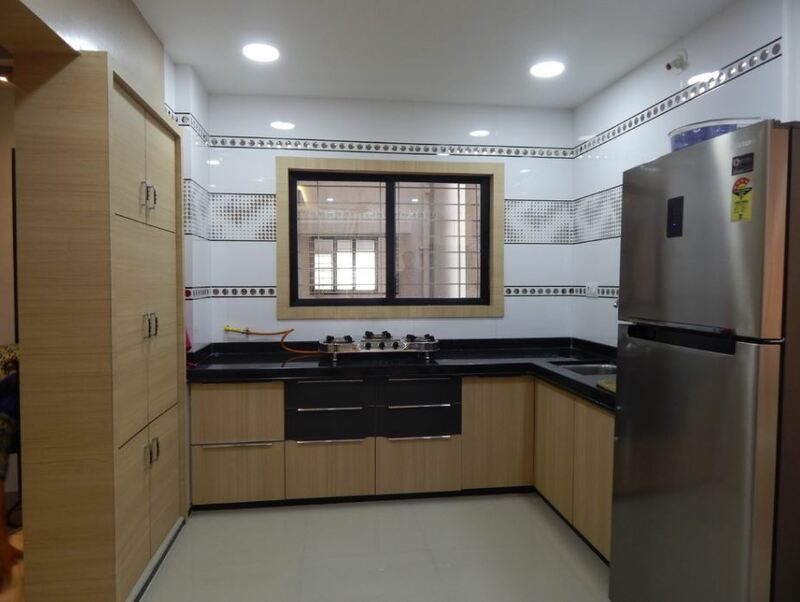 This looks like a typical Indian style kitchen design. Pop of color here and there brightens up the space and makes it look lively. Use the space beneath the stairs for storage. Pick up this small modular kitchen design for ideas. 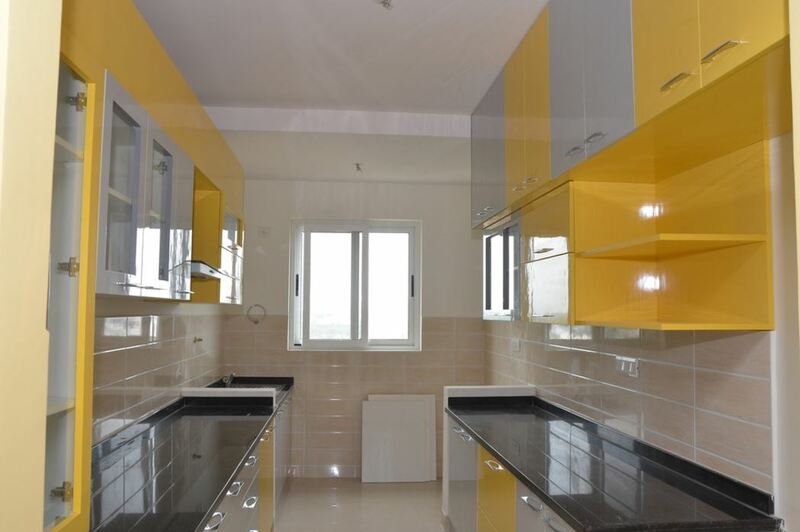 The yellow and white lacquer interiors give an interesting look to it. Use the space below the cabinet to hang your pans, cups and ladle. 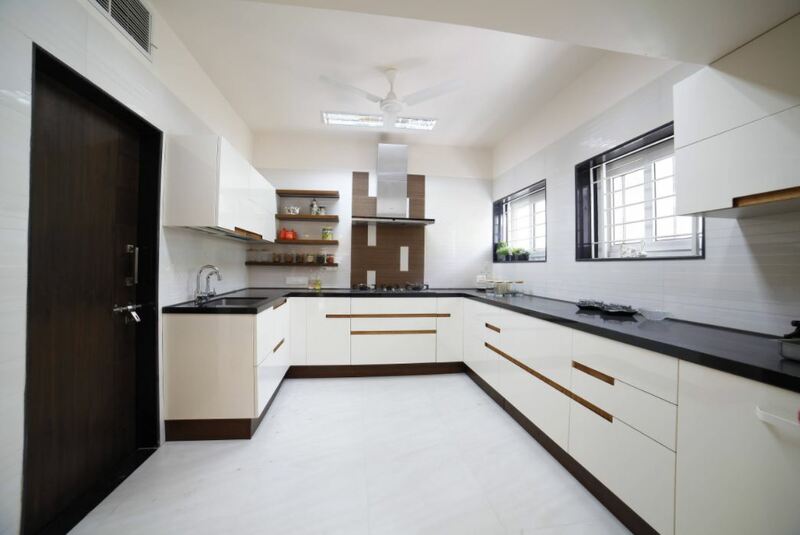 If you have a spacious home then go for this kitchen design. It is a U-shaped kitchen with an island in the center. The island has a raised countertop which makes for a smart breakfast nook. Indians love color, it makes them happy. 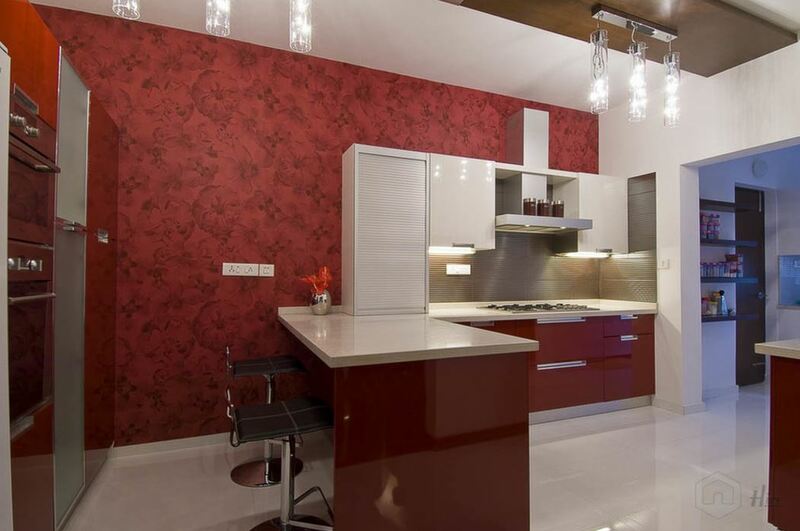 Check out this white and red kitchen design. The floral wallpaper is just awesome! Go for build in space for your appliances and refrigerator. 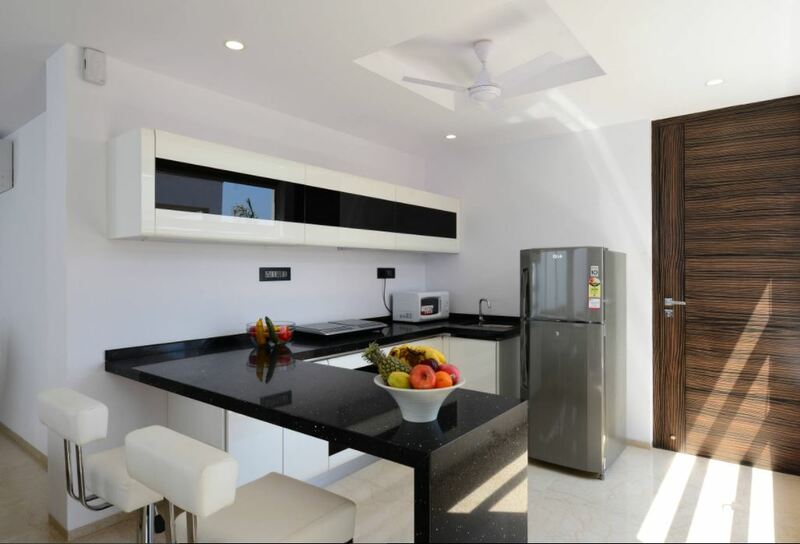 Here is a white rectangular kitchen design with black countertop. It is well-lit for the night and has two large windows for entry of air and natural light during the day time. 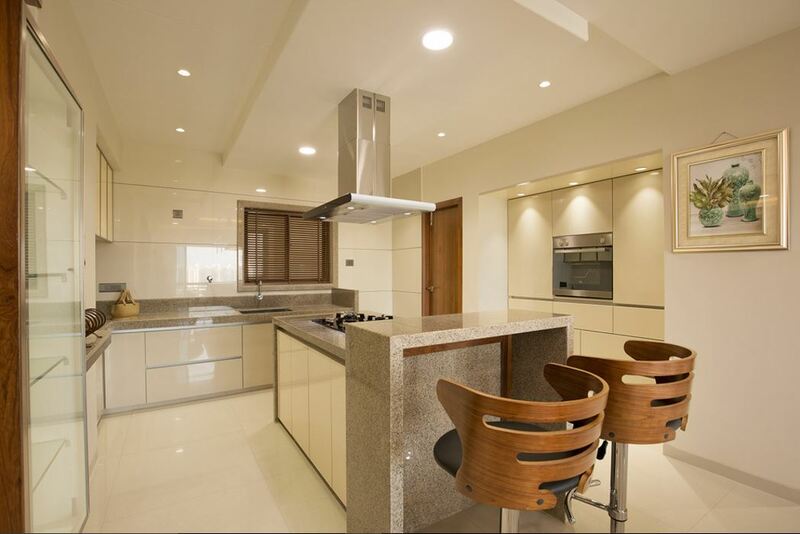 The cupboards on the left have been used to create a divide between the kitchen and the dining space. 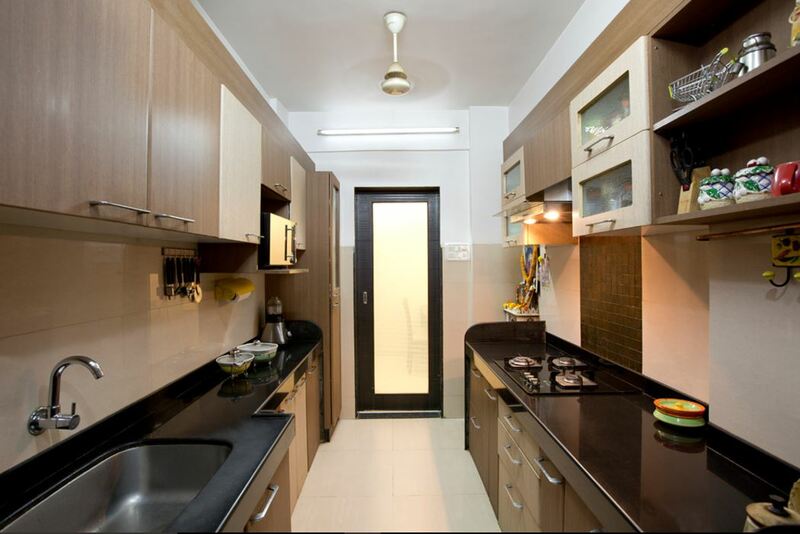 It is a small kitchen but looks extremely efficient and hassle-free. Looks like a dream kitchen design. 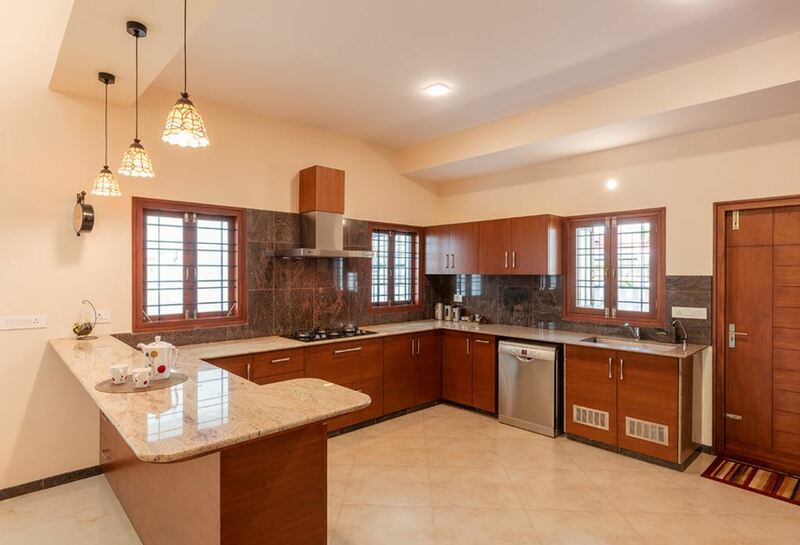 It is a huge kitchen with some cool backsplash tiles. It has a door at the far end, looks like a wash area or a small kitchen garden to me. Small spaces are a bit tricky to design. 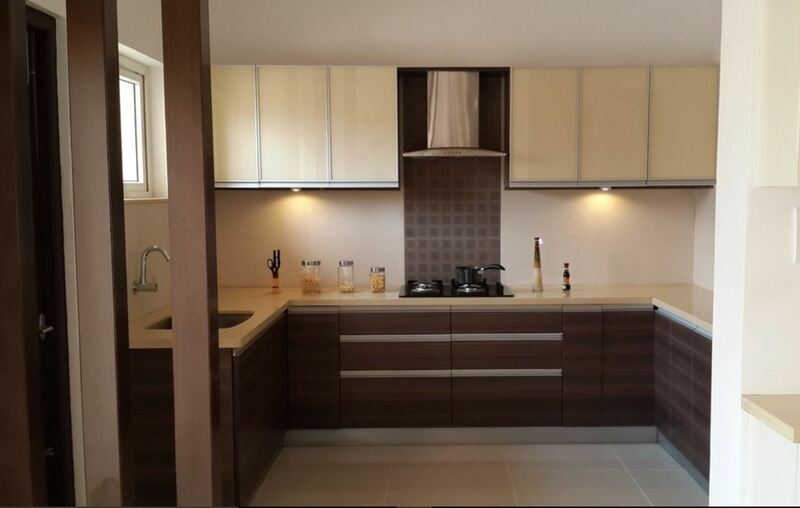 Here is a simple kitchen design for your apartment. I love the black and white glass cabinets above the countertop. Go for white and beige color scheme. Keep the drawers and walls white in color and the rest of the kitchen in beige. This kitchen looks warm and welcoming. 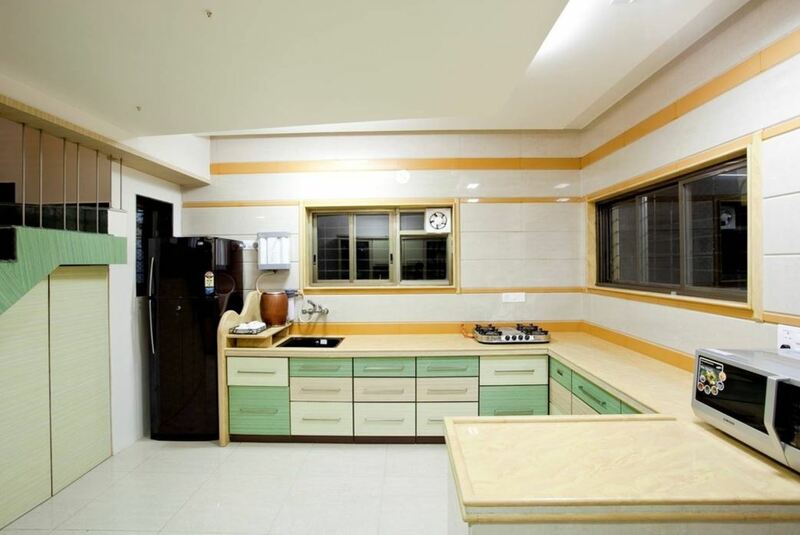 Here is a typical kitchen design for Indian home. 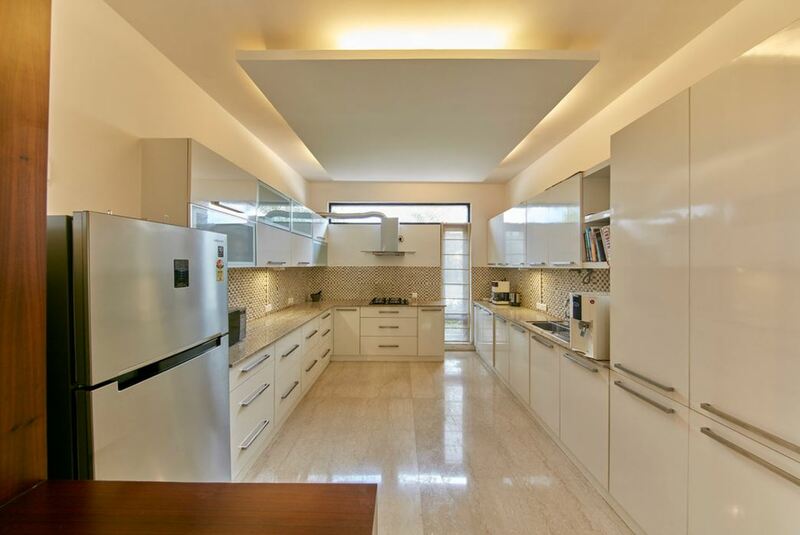 This L-shaped kitchen has a nice tray ceiling with LED lights. Add a glass table and a couple of chairs to create a cozy space for eating breakfast. This is a sleek narrow kitchen design with loads of storage space. The color scheme is absolutely stunning; yellow and grey go well with each other. 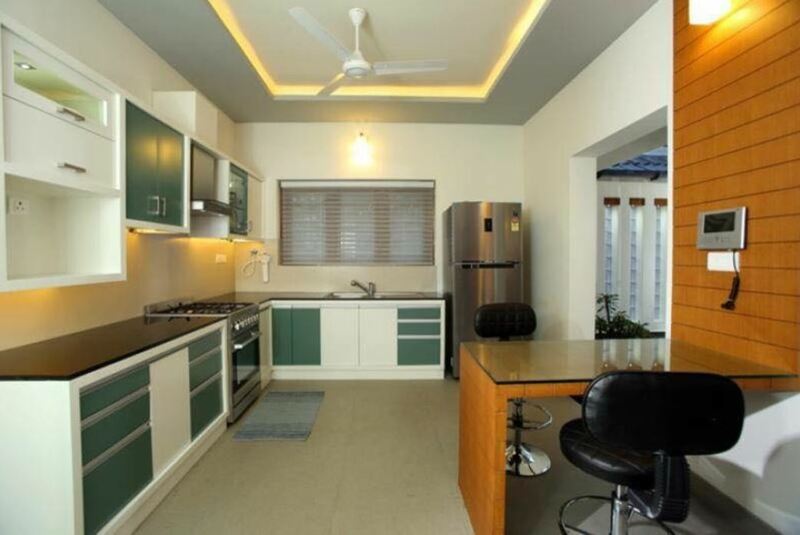 This entry was posted in Kitchen, Kitchen Designs and tagged Indian Kitchen Design, Indian Kitchen Designs, Indian Style Kitchen Design, Kitchen, Kitchen Design, Kitchen Design for Small Space, Kitchen Design Gallery, Kitchen Design Images, Kitchen Design Images Small Kitchens, Kitchen Design Layout, Kitchen Designs, Kitchen Designs for Indian Homes, Kitchen Designs from India, Kitchen Designs Photos, Kitchen Ideas for Small Kitchens, Simple Kitchen Design, Small Kitchen Design Ideas, Small Kitchen Design Indian Style by Homemakeover. Bookmark the permalink.